We offer an incentive and referral program for tennis clubs, coaches, group organisers and schools throughout the UK and Europe. Why not arrange a group tennis trip via TennisInTheSun and earn commission, free places or get paid for referrals. Step 1: Get your friends and clubs interested in a group holiday. Step 2: Book your tennis holiday with us. Step 3: We pay you a referral fee, a free holiday or commission. We can offer commission, free places or you can get paid for referrals. We are a trusted brand and have a solid reputation as a first class provider of tennis holiday packages. We can arrange holidays for singles, groups, schools and families. 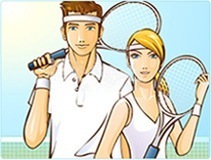 Partnering with us gives you access to worldwide tennis holiday destinations at discounted prices. Our mission is to provide a fantastic holiday experience for all standards of tennis players including high performance and beginners. Discounted rates for non playing partners and friends. All passengers booking with TennisInTheSun Ltd are fully protected and insured. If you are an active member, social secretary or club captain of your tennis club, partner with us and receive a variety of incentives. Fill out the form to find out more. 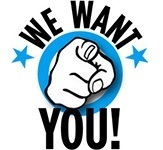 We are looking to partner with tennis coaches to help organise group trips in return for commission or cash. Calling all organisers. Is that You? 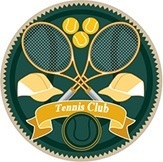 For those who just love organising and bringing groups together for social events, why not organise a tennis trip via TennisInTheSun and get paid for what you love doing. Enquire for more info. We can provide tailored tennis trips for schools and childrens groups at discount prices. We have a number of tennis camps across Europe and the UK, including summer camps.